Vistara's sale is only applicable for bookings made 15 days in advance for economy class and premium economy class. Vistara sale is valid only on direct flights and is not applicable on group and infant bookings. Vistara is offering domestic flight tickets at a starting all-inclusive price of Rs 899 under its special 'Valentine's Day' sale scheme. The sale, which is applicable on one-way economy, premium and business class bookings, is valid for travel between February 27, 2019 and September 18, 2019, said the airline on its official website, airvistara.com. The bookings under the offer are open till February 13, 2019. However, the sale is only applicable for bookings made 15 days in advance for economy class and premium economy class, and 7 days in advance for business class, said the airline. This sale is valid only on direct flights and is not applicable on group and infant bookings. 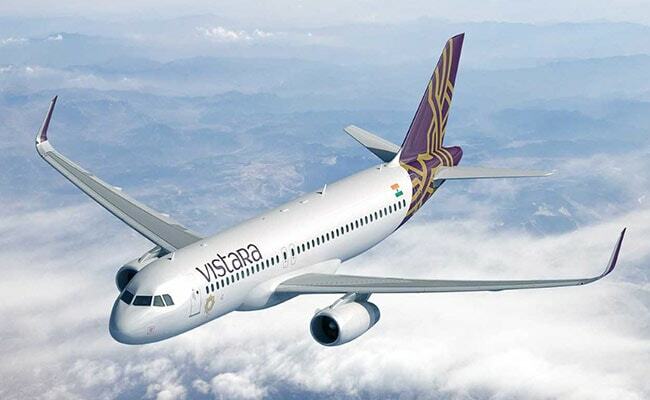 Vistara's offer on flight tickets comes amid high competition in the country's civil aviation sector where airlines are coming up with discount offers and new routes on a daily basis to attract passengers. Meanwhile, IndiGo is also offering domestic and international flight tickets starting from an all-inclusive Rs. 899 and Rs. 3,399, respectively in a limited-period offer. Last week, SpiceJet said it will launch a daily non-stop flight service between Hyderabad and Saudi Arabia's Jeddah from March 25.